Luis Antonio Pichardo didn’t exactly grow up speaking English in his household. 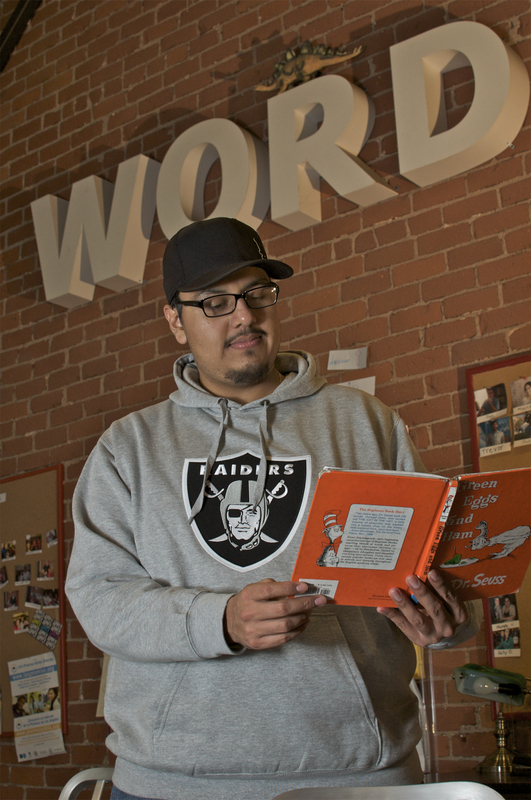 He is a first generation Mexican-American born in San Diego County who was much more comfortable speaking in Spanish than communicating in English until he started school. As the oldest of three, he is the first person in his family to graduate high school, the first person to earn an Associate in the Arts degree from Palomar College, the first person in his family to earn a Bachelor in the Arts in Literature and Writing from Cal State San Marcos, and the first person in his family to earn a Master in the Fine Arts degree from California Institute of the Arts. To round out his academic achievements, Luis has also earned a certificate in Design Communication Arts from University of California, Los Angeles. Since the age of five years old, Luis has been fascinated by art, and he began developing his drawing skills at that early of an age. With the support of his mom, his first art project was a set of cardboard masks which he used to play with in his backyard. By the age of 22, Luis was honored with two gallery exhibitions of his fine art, five publication credits for his poetry, and three awards in writing, including the International Library of Poetry-Editor’s Choice award and the California International Young Artist Competition-Poet of Promise award. Luis formed Smiley Faze Productions to independently practice his art and to offer his services as a photographer, graphic designer, and writer to the Southern California community. As a photographer, Luis has provided portrait and event photography services to various individuals with a specialization in “lifestyle” portraits and photojournalistic event coverage. As an illustrator and designer, Luis has developed the visual identity for his nonprofit, DSTL Arts, an arts mentorship organization for creative at-risk youth, Mapache Arts Collective, an arts collective created to collaborate with artists and writers to produce work that potentially impacts the community in a positive way, and various other publication and visual design projects. Through Smiley Faze Productions, Luis seeks to create art that inspires, motivates, and brings change to individuals’ lives. Nothing is more important to Luis than showing the revolutionary power of art. There is no greater purpose in Luis’ mind than being a part of THE revolution: the revolution based on Faith, Hope, and Love, with Love being the strongest of them all.